Backwards compatibility to be handled remotely? Microsoft's Xbox One console is poised to go toe-to-toe with Sony's PlayStation 4, and a new report out over the weekend claimed that cloud streaming will be one of the major battlefields between the two systems. 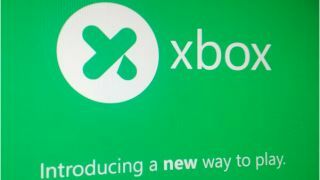 The new Xbox console will feature significant cloud streaming capabilities, The Wall Street Journal reported Sunday. The console, codenamed "Durango," will be able to stream gameplay from Microsoft data centers and send players' button presses right back, effectively streaming games over the internet, similar to what game streaming services like OnLive and Gaikai (last year purchased by Sony) do. This functionality could allow the new Xbox to play older Xbox 360 games without having to include extra hardware bells and whistles, providing backward compatibility without extra cost. The WSJ described new Xbox prototypes with game streaming capabilities that are in development at Microsoft, according to the always reliable "people familiar with the matter." Microsoft has reportedly been cautious about jumping head-first into game streaming like Sony has, but the new Xbox console will indeed boast it as a feature, those sources said. The ability to play older Xbox games on the next Xbox will surely be a boon for fans of Microsoft's game consoles, though it remains to be seen exactly how or if such a feature could be implemented. Of course, we'll know for sure tomorrow when the new Xbox is revealed. Sony's PS4 will use Gaikai's technology in a variety of ways, and the company hinted when it announced the new console in February that it will eventually be able to play older games via streaming. Recent consoles, including certain hardware versions of Nintendo's Wii and Sony's PlayStation 3, have featured spotty backward compatibility or lacked it entirely, which has rankled some fans. But these consoles have proved that a lack of backward compatibility is by no means a hindrance to success in the console hardware market. Want more news on the new Xbox? Read TechRadar's 10 ways the new Xbox can win the next generation of game consoles.